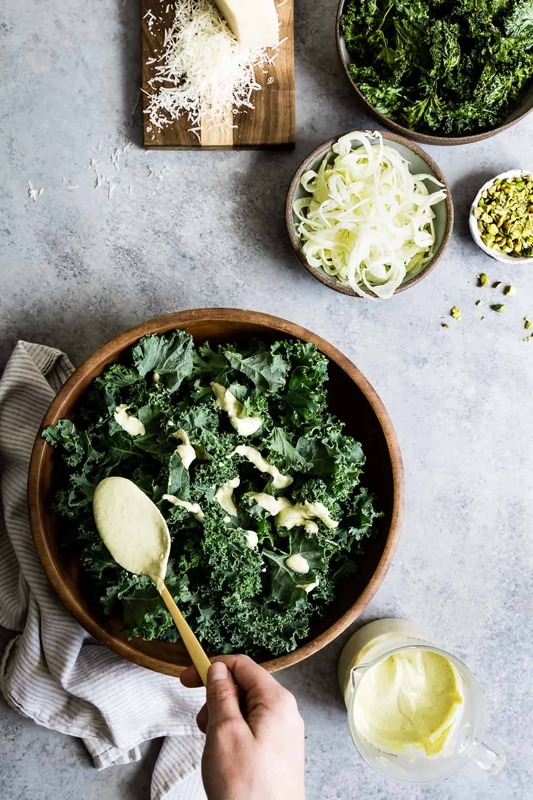 An addicting double kale salad to rule all kale salads: tender curly kale leaves massaged with creamy pistachio dressing topped with crispy roasted kale chips. Roasted salted notes and a slightly sweet creamy dressing, this salad is anything but standard. 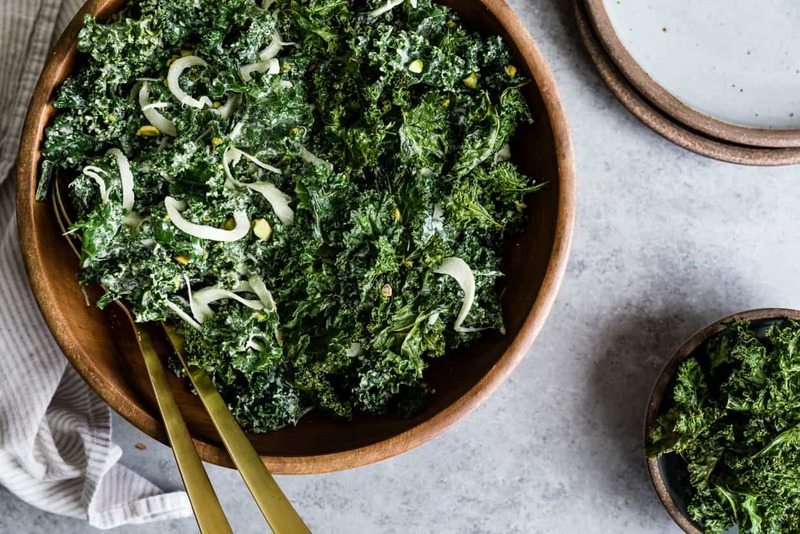 The world needs another recipe for kale salad right now like it needs another recipe for avocado toast, but when the kale salad is this satisfying, you make exceptions. It’s got double the kale. I know what you’re thinking – what does that even mean, Sarah?? We all know what double chocolate cookies are – they’ve got chocolate cookie base with chocolate chips – but double kale salad? 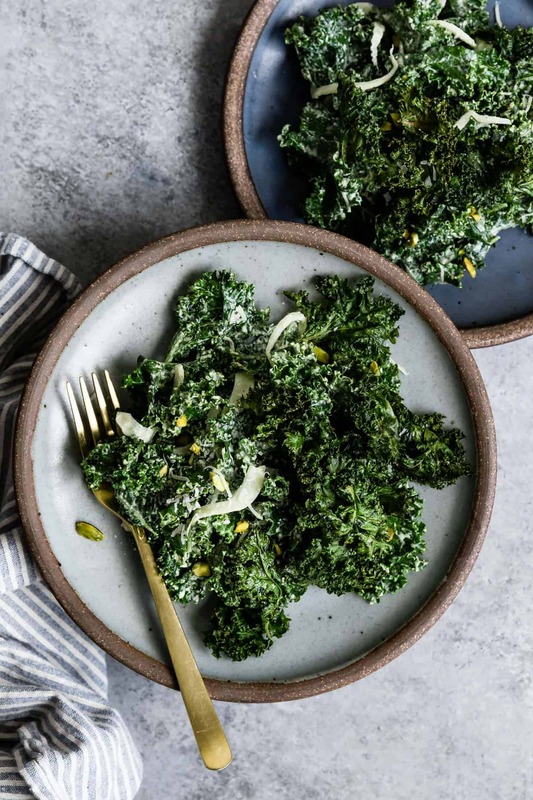 Basically the same thing – we’ve got a basic kale salad base with crispy KALE CHIPS on top. 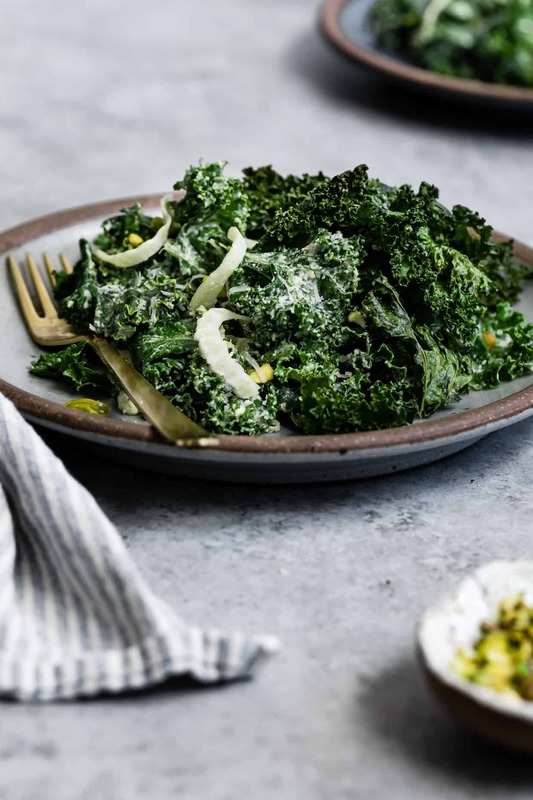 This double kale salad is my take on a kale salad that stole my heart at Alden & Harlow on our trip to Boston last month. The kale chips weren’t listed on the menu description for their ubiquitous kale salad and the ambience was so dark that it wasn’t until a couple bites in that we all realized what was happening on top of the pile of curly greens. 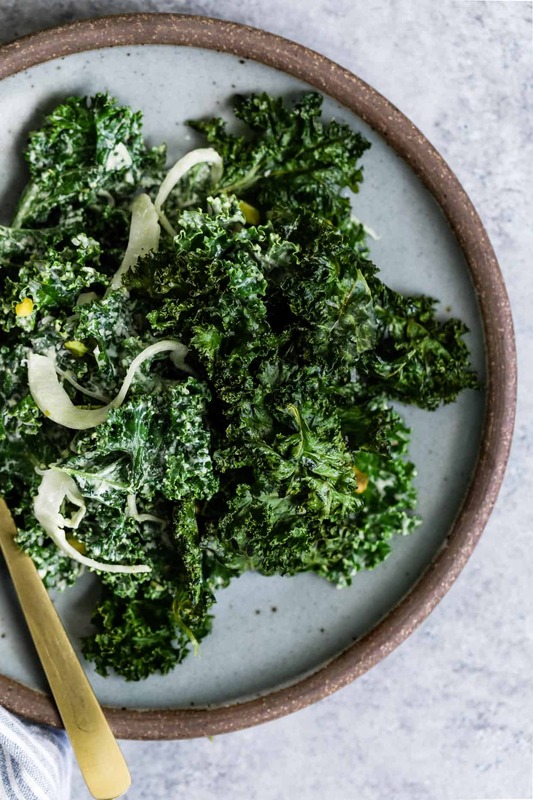 Kale chips make this kale salad anything but ubiquitous. We’ll come back to the salad, but first: Boston. Some of you may have followed along on my Instagram Stories last month, but I didn’t give the trip its proper hip-hip-hurrah over here yet. My friend Carla and I, along with my in-laws, went to Boston to watch my husband run his first Boston Marathon. He’d qualified in 2013, but had to back out from injury two weeks before the race. Over the past couple years, he’s put in the training miles and was back for redemption now 5 years later. 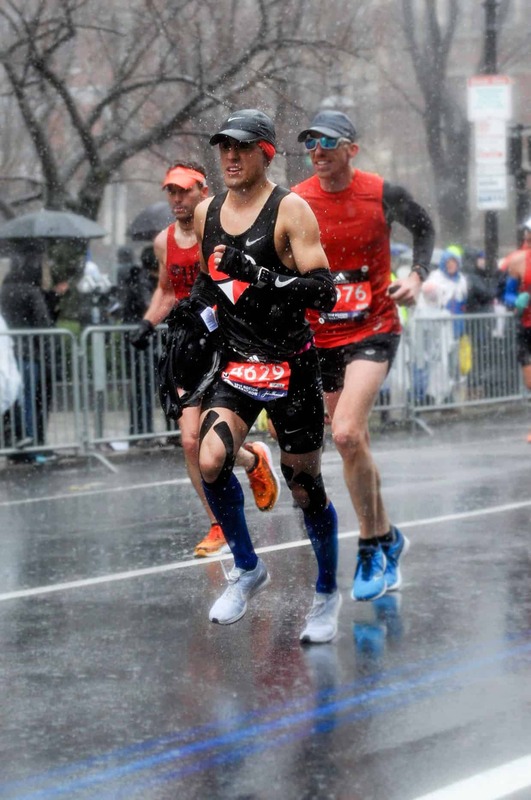 Did y’all see any of the Boston Marathon coverage this year? It was wet. And freezing. And windy. And did I mention: really really wet? I had a jacket, a scarf, a poncho, pants, boots, and an umbrella and could barely feel my feet after 15 minutes of cheering. I cannot imagine running in that weather. For 26.2 miles. In running clothes. For hours. With the risk of hypothermia. A whopping 23 of the elite athletes dropped out mid race. Yet somehow, Lucas ran with a smile and he crushed his seed place, finishing 1,438th out of 26,948 racers. I’m pretty proud of this guy. But not nearly as proud as his littlest fan. Two year old Zoella had her eyes glued to TV while watching the race in her jammies back at home. The moment women’s winner Des Linden appeared just after the finish line, Zoella proudly and confidently declared “that’s my daddy! !” So apparently Lucas looks strikingly similar to a petite 34 year old woman. She went to school that day and told everyone all about how she saw her daddy running on TV. A couple weeks later, we passed by a runner while out on a walk in our neighborhood, many yards away. She ecstatically shouted “Mama! He’s running! Like my daddy!” Wanting to be just like him, she makes him race her around the yard now. 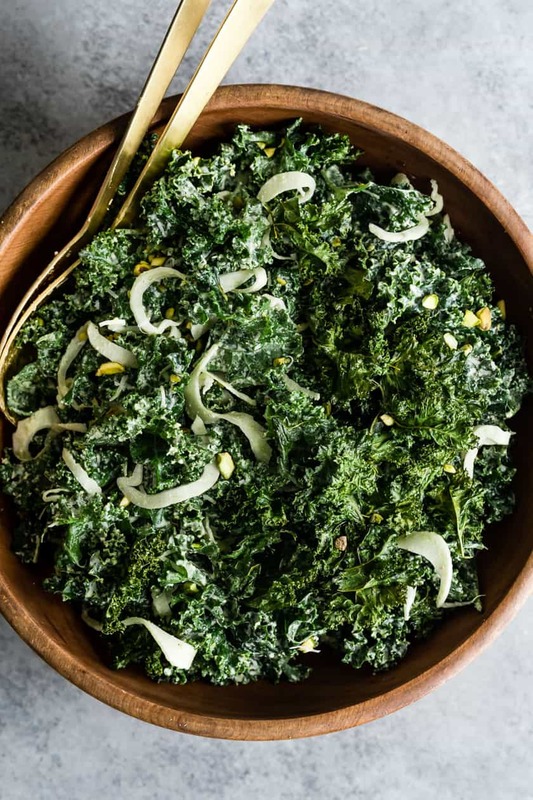 Usually it’s cake, but today we’re having the kale salad of my dreams. 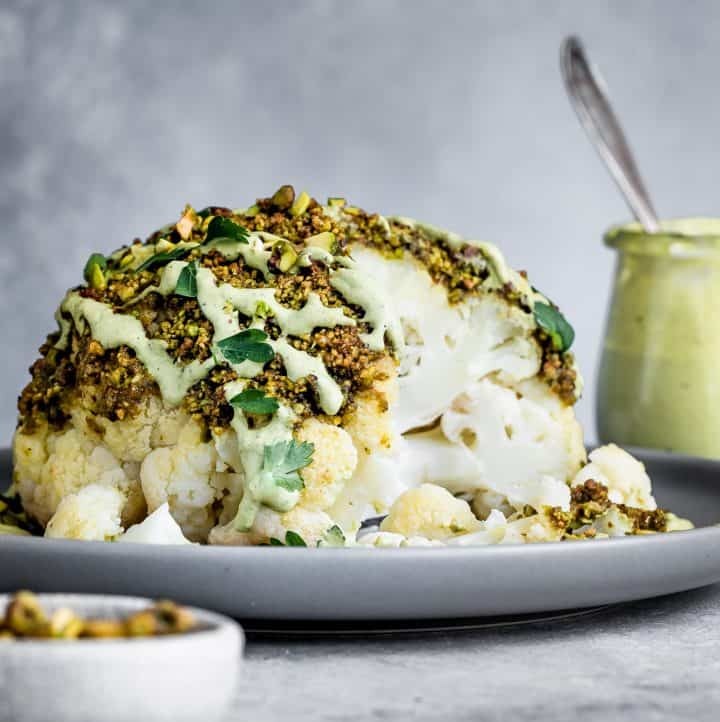 Underneath, kale and fennel gets massaged with a roasted creamy pistachio dressing with just a hint of honey. I opted to toss the whole thing in parmesan because it’s what I craved, but you can also leave it off for a vegan salad and it’s still delicious. Crispy roasted kale chips add a crunch akin to croutons with a salty addicting note. Zoella has always turned her nose up at salad, both for the green color and the amount of chewing required to eat them. The day I served this salad though, she shoveled it into her mouth with exaggerated OM NOM NOMs. Also, kale chips are apparently the perfect gateway vegetable for toddlers. Preheat oven to 275 and line two large baking sheets with parchment paper. 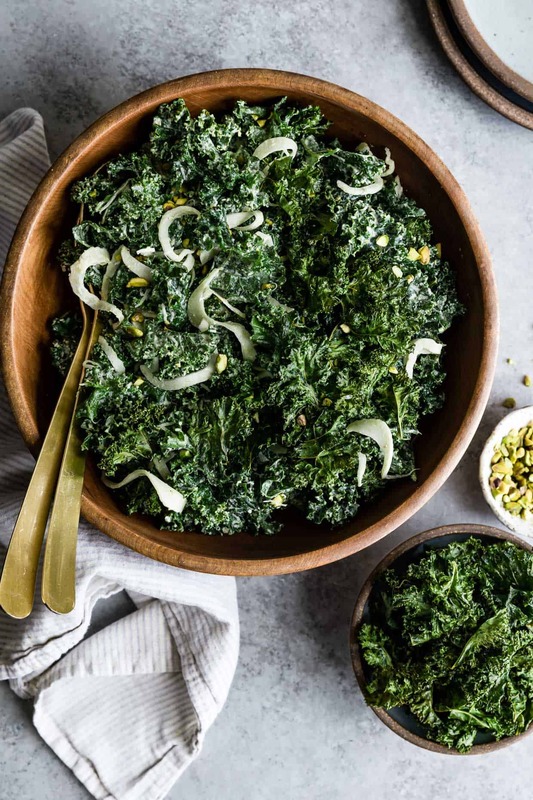 In a large bowl, toss the kale for the kale chips in olive oil and salt, rubbing the oil into the leaves until well-coated. Spread the kale out evenly over the two large baking sheets, trying not to crowd or overlap the leaves. Bake on top and middle racks for 12-18 minutes until the leaves begin to dry out, rotating pans and racks halfway through. 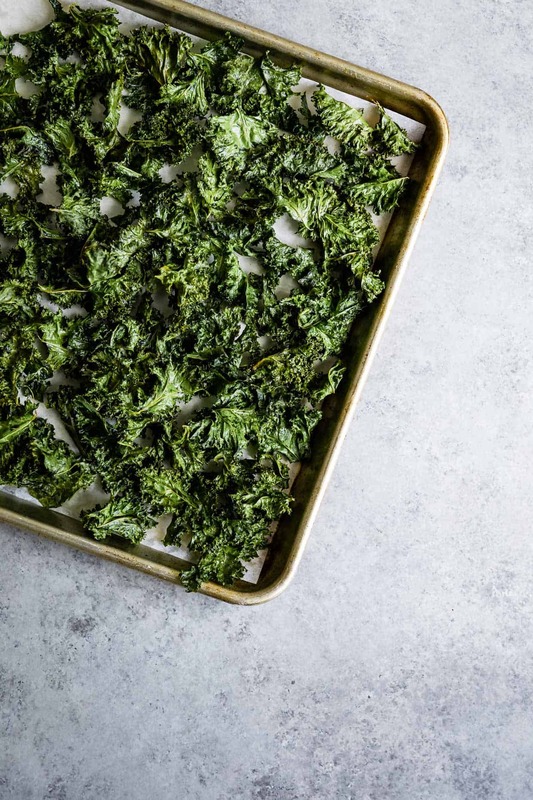 Toss the kale chips and bake for another 5-8 minutes, or until dry and crispy (they will continue to crisp as they cool! ), being careful not to burn the chips. 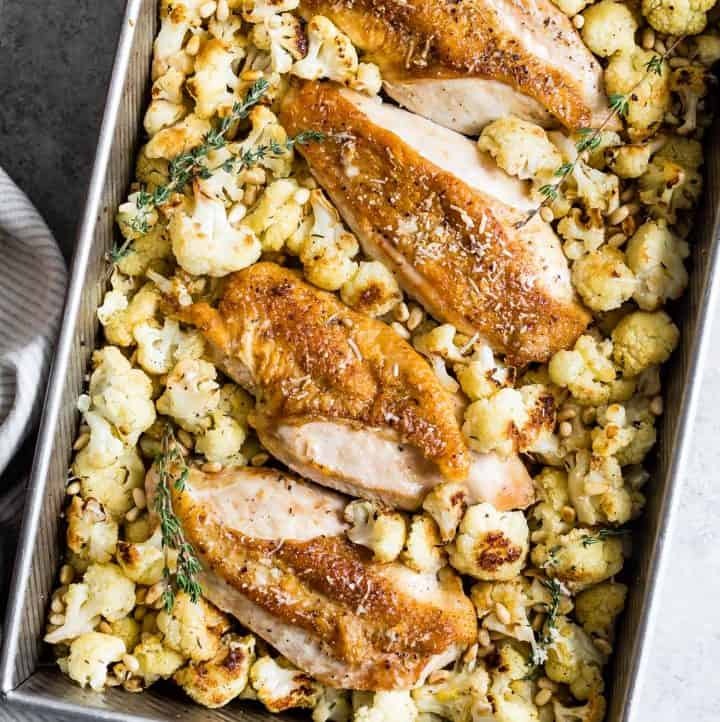 Remove from heat and let cool on the pan while you prepare the rest of the salad. 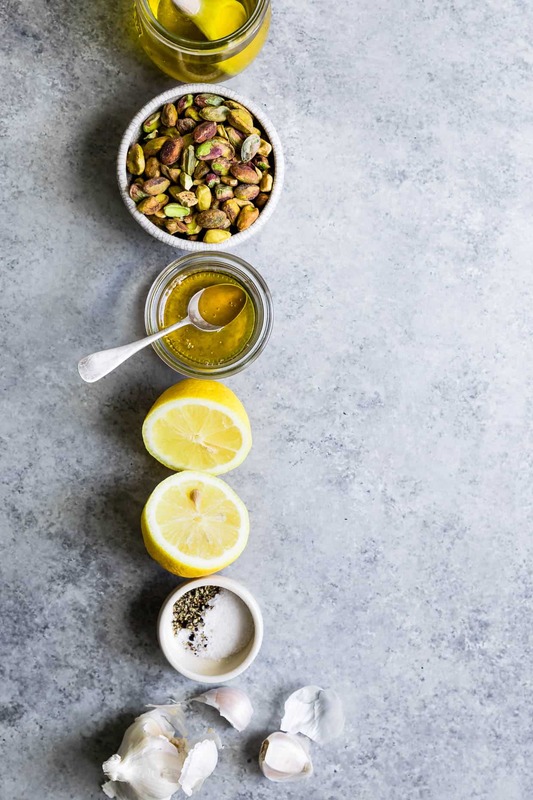 In a high powdered blender or food processor, combine the pistachios, lemon juice, water, honey, vinegar, garlic, and salt, and pepper. Blend well and with the blender still running, slowly pour in the olive oil, blending until creamy and smooth. 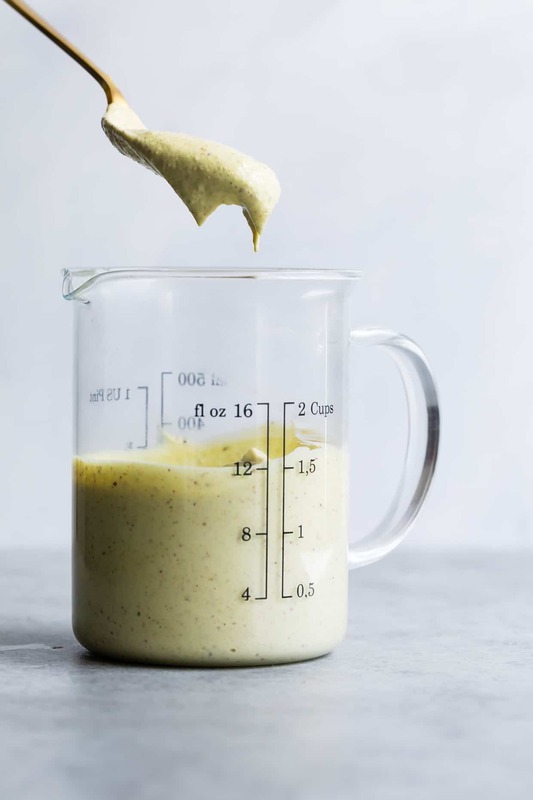 If the dressing is too thick, add up to 1/4 cup more water, 1 tablespoon at a time until you reach desired consistency (it should be creamy and not runny). Chill until ready to serve. 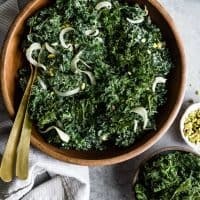 In a large bowl, toss the remaining kale leaves and fennel with a few tablespoons of dressing to taste, using your hands to massage the dressing into the kale. 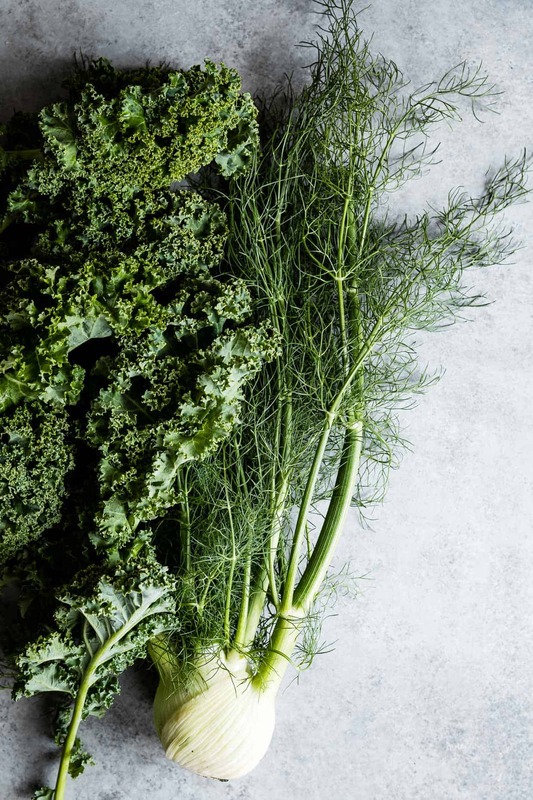 Depending on the size of your bunch of kale, you may use all or only half of the dressing to your taste! Sprinkle with parmesan cheese and chopped pistachios and toss. 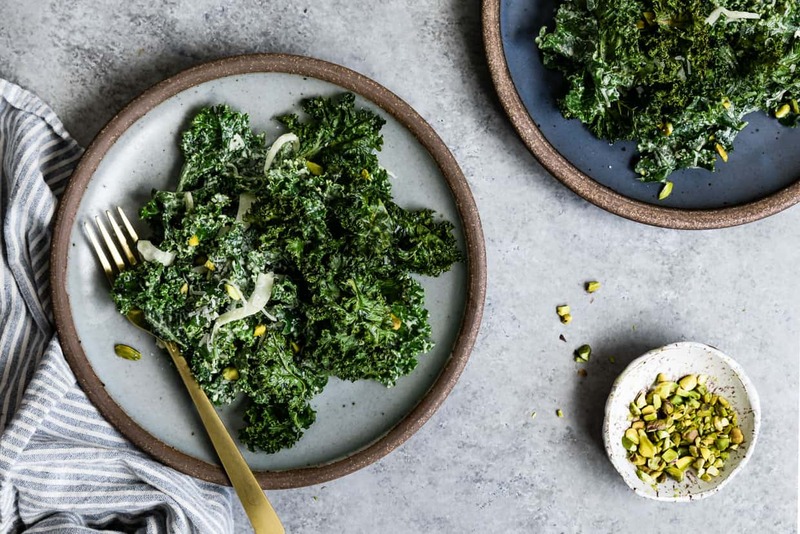 Serve topped with crispy kale chips. 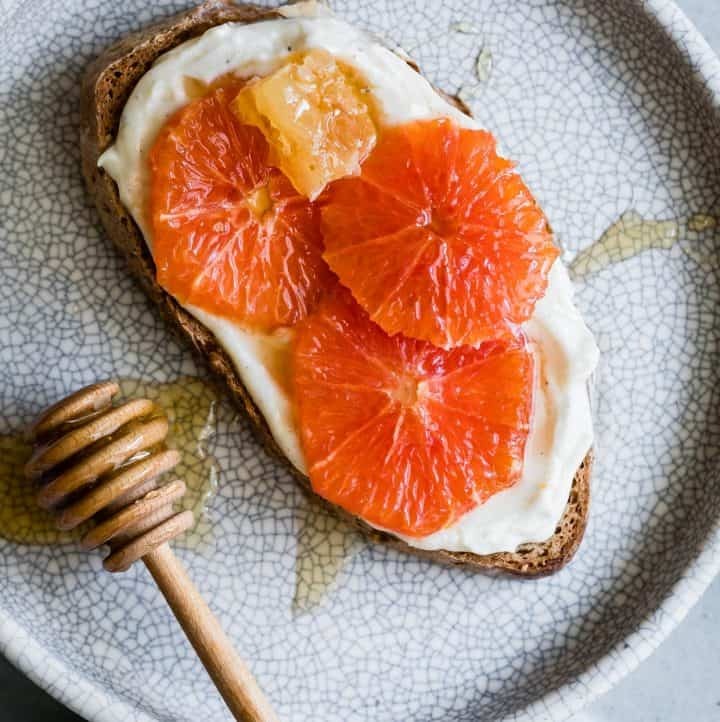 I love this recipe and love the stories you tell about Zoella! Way to go Lucas! Sarah this salad looks amazing! This dressing is fantastic. My daughter asked for a salad with it for school lunch. Also, what a great twist on the ubiquitous kale salad!